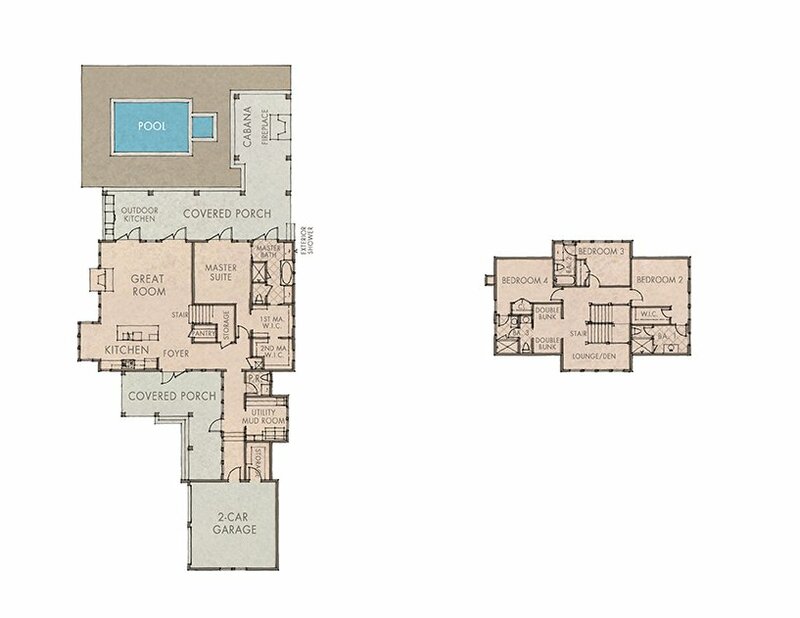 *Floor plans are artist's renderings and may contain options that are not standard or available on all plans or models. All Floor Plans and Elevations specify approximate details including but not limited to square feet, room size specifications, interior, exterior, and optional features. Landscapes depicted in the renderings and images are not guaranteed to be reflective of the landscaping on all lots and home packages. Maps are not to scale. Home plans, pricing and the features are subject to change without notice. For full disclosure details please visit our disclaimers page.